Drs. 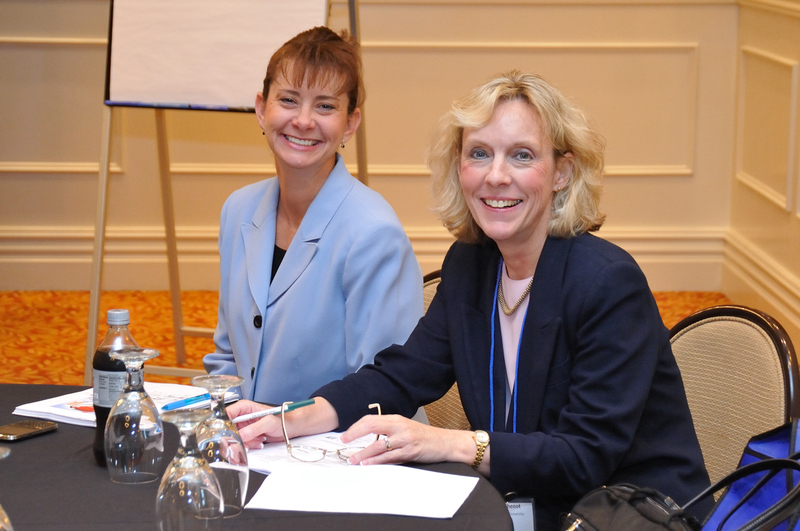 Teri Chenot and Berta Christopher co-chaired the 2018 Patient Safety Forum on Friday, March 2, 2018 at the QSEN Institute Regional Center at Jacksonville University with 200+ interprofessional attendees. 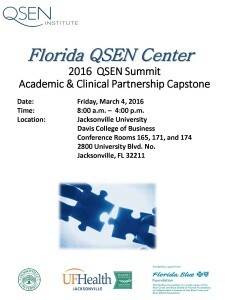 Topics included QSEN, opioid innovative solutions, simulation, and emergency preparedness. Sponsors included Baptist Health, Shadow Health, UF College of Medicine Jacksonville, UF Health Jacksonville, and the North Florida Chapter of the American College of Healthcare Executives. 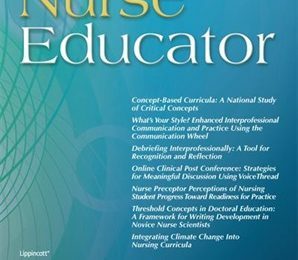 “Quality and Safety Education for Nurses (QSEN) Bullying, nurse burnout and fatigue contribute clearly to patient safety issues and negative health outcomes. 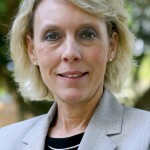 Dr. Teri Chenot, Associate Professor in JU’s Brooks Rehabilitation College of Healthcare Sciences, and Dr. Roberta Christopher, assistant professor, are co-directors of the new QSEN Institute Regional Center at JU, where the goal is to foster an international network of nurses and other health care professionals who contribute to quality and safety educational resources and scholarship”. 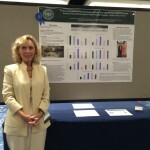 Dr. Teri Chenot, Jacksonville University, presented a project poster presentation at the 2015 QSEN National Forum, on Tuesday, May 26, 2015, in San Diego, California. 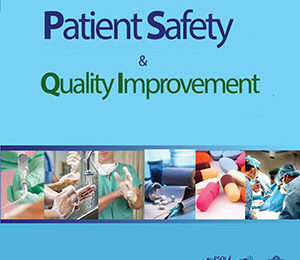 The poster entitled, “A Statewide Initiative Integrating Quality and Safety Education for Nurses (QSEN) Through Academic/Clinical Partnerships to Improve Health Outcomes – the First Year in Review”, was authored by Dr. Chenot, Roberta Christopher, EdD(c), MSN, ARNP, NE-BC, CHTS-CP, UF Health – Jacksonville, and Dr. Mary Dolansky, PhD, RN, Case Western Reserve University. The poster won first place overall in the poster competition. 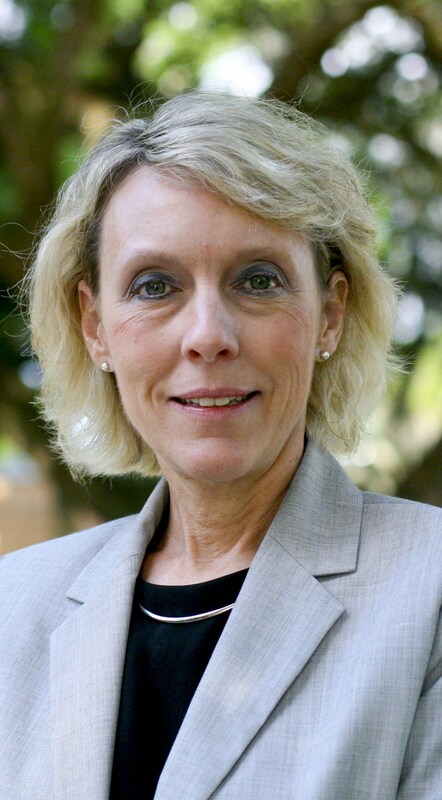 The three-year project, which began Jan. 1, is titled “A Statewide Initiative Integrating Quality and Safety Education for Nurses (QSEN) Through Academic/Clinical Partnerships to Improve Health Outcomes,” said , Director of Grant Development at JU. For more information on the most recent grant, contact Renee Rossi, JU Director of Grant Development, rrossi@ju.edu, (904) 256-7458, or Phillip Milano, JU Director of News and Publications, pmilano@ju.edu, (904) 256-7042. 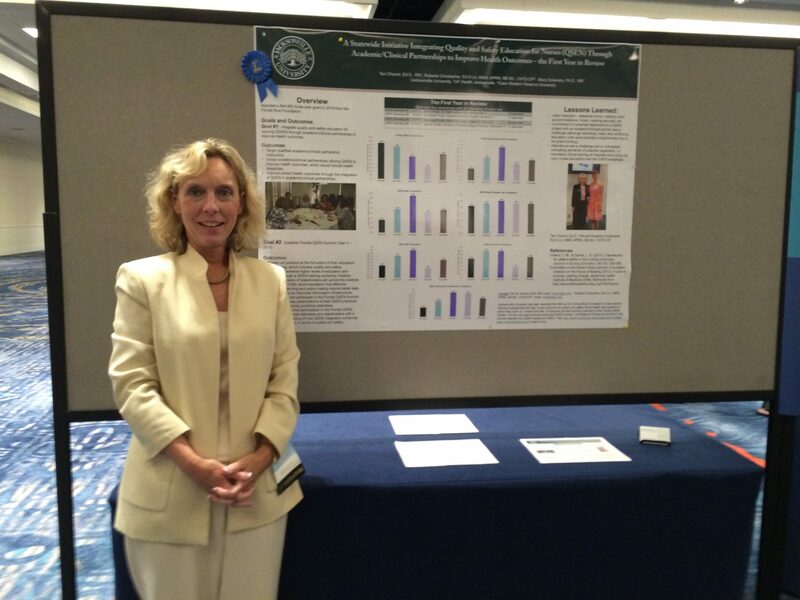 Dr. Teri Chenot of the JU College of Health Sciences was invited to help plan the 2014 Quality and Safety Education for Nurses (QSEN) National Forum in Baltimore May 27-29, and was then tapped to present twice at the prestigious event, which is geared toward highlighting and training the most innovative nursing leaders in the country. Chenot first spoke on her study of efforts to boost the quality of patient health by combining the efforts of QSEN with the national Magnet Recognition Program, which recognizes healthcare organizations for their patient care, nursing excellence and innovation. 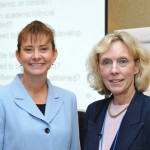 Dr. Chenot and co-presenter Roberta Christopher, Director of Nursing Research and Magnet at UF Health Jacksonville, then presented an overview of their efforts to help create QSEN workshops across the state culminating in a Florida QSEN Summit, which will ensure residents have access to safe, high-quality nursing and healthcare. 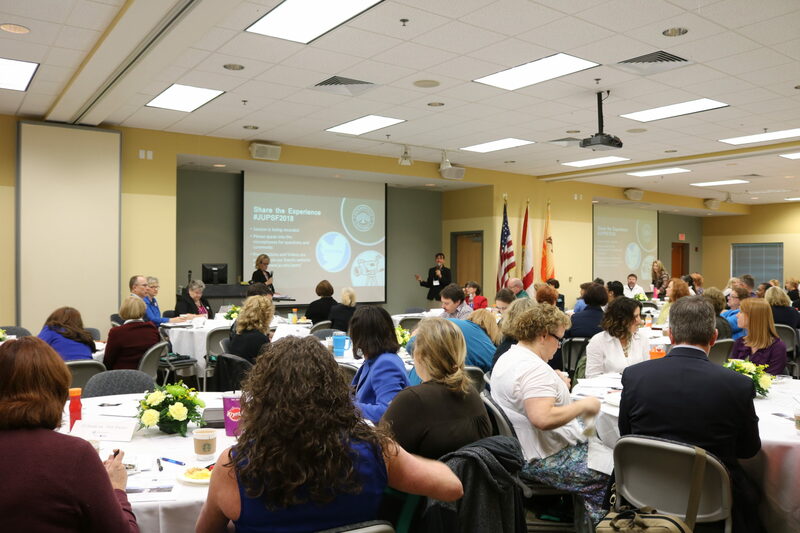 That summit, scheduled for 2016, is part of an effort funded by a $45,000 Florida Blue Foundation grant to JU’s College of Health Sciences to help develop training modules that will aid nurses in improving the quality and safety of the health care systems in which they work. 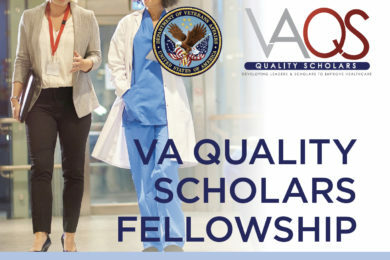 The three-year project, which began Jan. 1 of this year, is titled “A Statewide Initiative Integrating Quality and Safety Education for Nurses (QSEN) Through Academic/Clinical Partnerships to Improve Health Outcomes.” It will be examined as a potential pilot program to be rolled out nationwide. 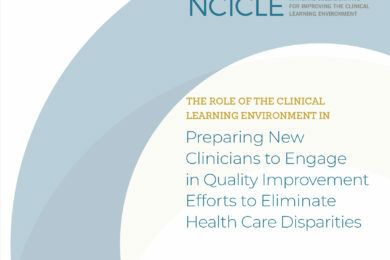 Chenot and Christopher continue to build on their current research in quality and safety that exemplifies cutting-edge collaboration between academia and clinical practice. This partnership is enhancing the education of new graduates and practicing nurses to improve health outcomes at the state and national levels. 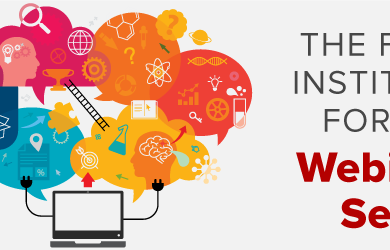 The annual QSEN National Forum attracts innovators and leading nursing faculty who share their innovations in course design and teaching strategies; research on quality and safety education; and practical implementation of safety programs. Chenot focuses her research on patient safety and improving health outcomes, and by serving on the national planning committee for the conference for the second year, she is helping to move that initiative ahead. Chenot has now presented at the conference the past five years. 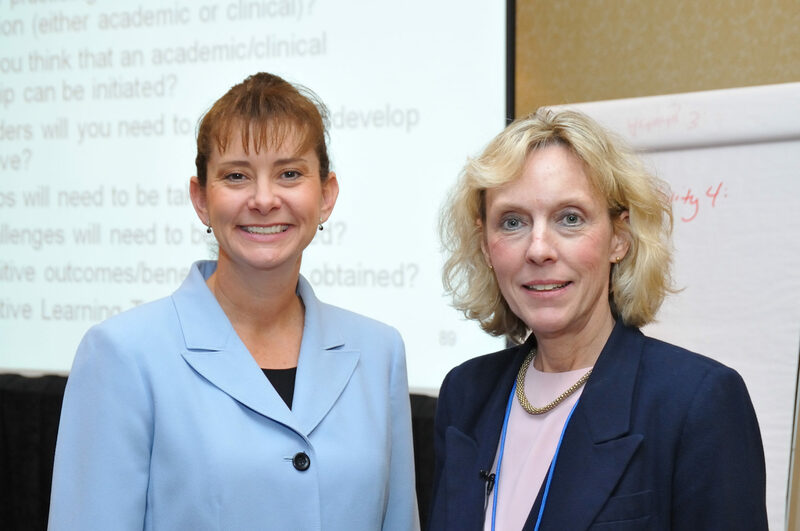 The two presentations by Chenot and Christopher were “Taking It to the Next Level: Integrating QSEN and Magnet to Improve Health Outcomes,” (https://docs.google.com/file/d/0B5YGF5c2vqn5UjFEbHdNc2UxalU/edit); and “A Statewide Initiative Integrating QSEN Through Academic/Clinical Partnerships to Improve Health Outcomes,” (https://docs.google.com/file/d/0B5YGF5c2vqn5amRWTHN5TlhQcVU/edit).